Little Miss and I were invited at Santa's Magical Kingdom Opening Night last Friday and had a fantastic time! I kept it a surprise for little Miss so she was very pretty excited when she saw the Santa sign at the entrance! 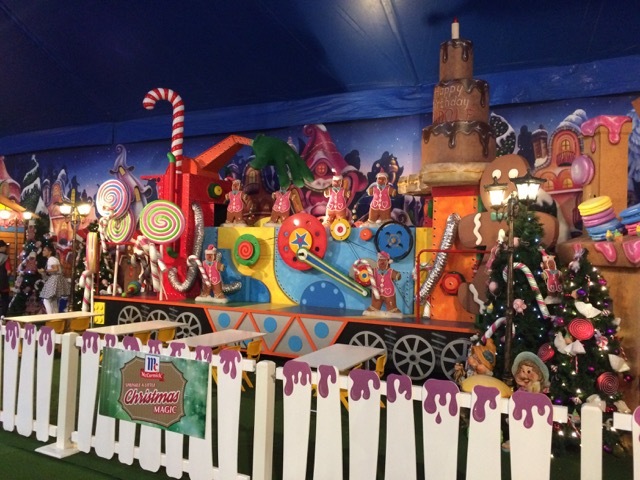 The magical kingdom is a special place with Christmas decorations everywhere, rides, carnival entertainment inside and outside as well as some craft areas, meet & greet with Santa, the Christmas show spectacular and more! Little Miss' favourite area was Snowland where she was arms in the air feeling the snow and so happy to have her photo taken with the Snow Princess and Snow Maiden or Anna & Elsa as she called them. She was also very happy to show off her Rudolph Christmas t-shirt to Rudolph! We checked out the craft house, gingerbread house and Santa's mail house where we 'decorated' our gingerbread man (technically there was more eating the supplies than actual decorating ha! ), wrote Santa a letter and took a bauble to decorate at home as little Miss was too preoccupied wanting to look at the rides. The Christmas theme circus show was truly a highlight for us with breathtaking stunts which kept us on the edge of our seat. It lasts 30 minutes which is not too long for little ones to sit through and because entertainers keep moving, little Miss kept her eyes on the show the whole time. There's also a giant slide outside but we thought little Miss was a bit too young for it just yet, maybe next year! 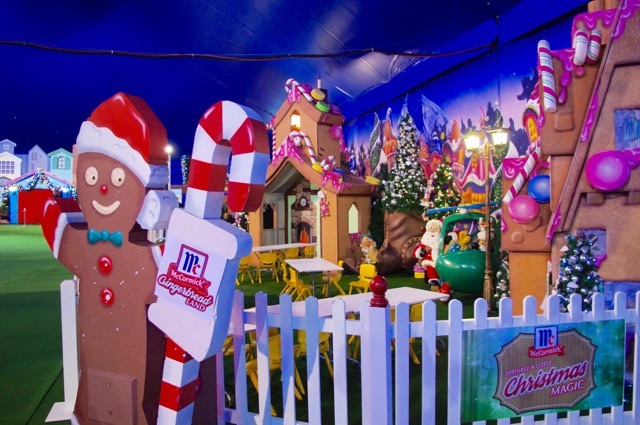 For more information or to book tickets to Santa's Magical Kingdom, head to their website.